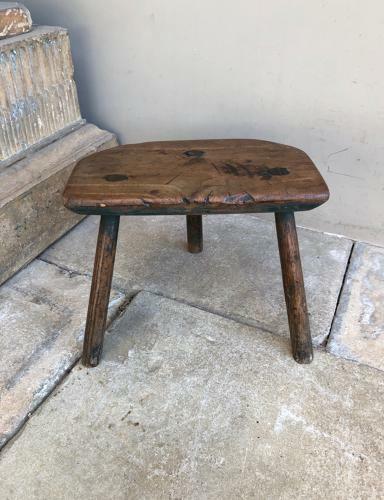 Victorian Three Legged Country Stool. Wonderful colour...elm with traces of its original green paint. Solid and sturdy. Great condition.